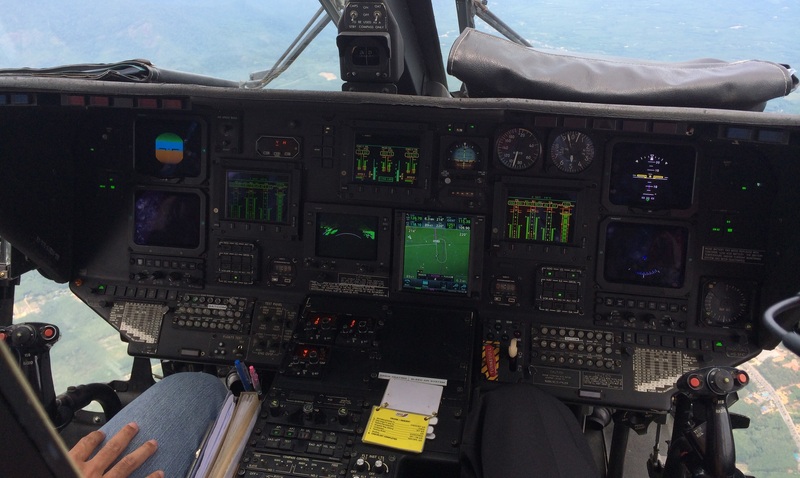 Maxcraft Avionics Receives FAA STC for Garmin GNS or GTN Series Navigator in the Sikorsky S76A/C series of rotorcraft | Avionics Blog – Avionics to the Max! Vancouver, BC, November, 2015 – Maxcraft Avionics Ltd announced today that they have received FAA Validation of their Transport Canada STC SH04-41 (FAA STC SR03573NY) for installation of the Garmin GNS or GTN Series Navigators in the Sikorsky S76A/C series of rotorcraft. The applicability of this package has now expanded to include GNS WAAS and GTN Navigators as well as all flavours of Honeywell EDZ-705/756 EFIS, and SPZ-7000 or SPZ-7600 DDAFCS Systems. The GNS()/GTN Navigators are ideally suited for the Sikorsky S76A & C rotorcraft, offering a integrated VHF‐COM transceiver , VOR/ILS receiver, as well as GPS En‐route, Terminal and non‐ precision GPS Approach capability. When coupled with a reliable integration to the aircraft, considerable panel and console space is recovered. Maxcraft specializes in avionics design, installation, and maintenance. Its design services group is among the most professional in Canada, and holds an extensive catalogue of exclusive STCs. Maxcraft’s client base includes operators for all types of aircraft including private, commercial, business, charter, corporate, airline, police, military and air ambulance. As an AMO its state-of-the-art shop facilities provide full service support to the private and commercial fixed wing market as well as the helicopter sector. Maxcraft Avionics can be found on the web at www.maxcraft.ca or may be reached at 604-465-3080 or sales@maxcraft.ca. This entry was posted in Avionics News and tagged airplane, avionic, Canada, cockpit, efis, FAA, facility, flight sintruments, Garmin GNS, Garmin GTN, glass cockpit systems, GPS, Helicopter, Maxcraft Avionics, navigator, Rotorcraft, S76A, Sikorsky, Sikorsky S76A/C, STC, tcas, VHF radios, VOR/ILS. Bookmark the permalink.